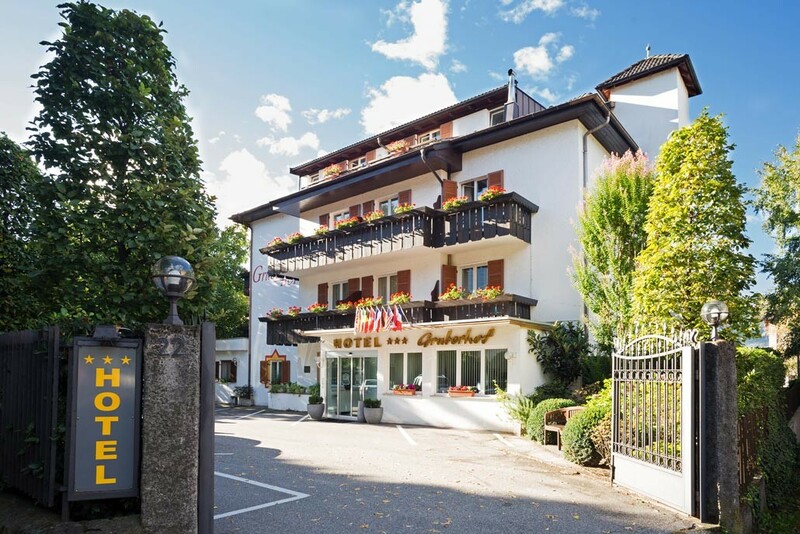 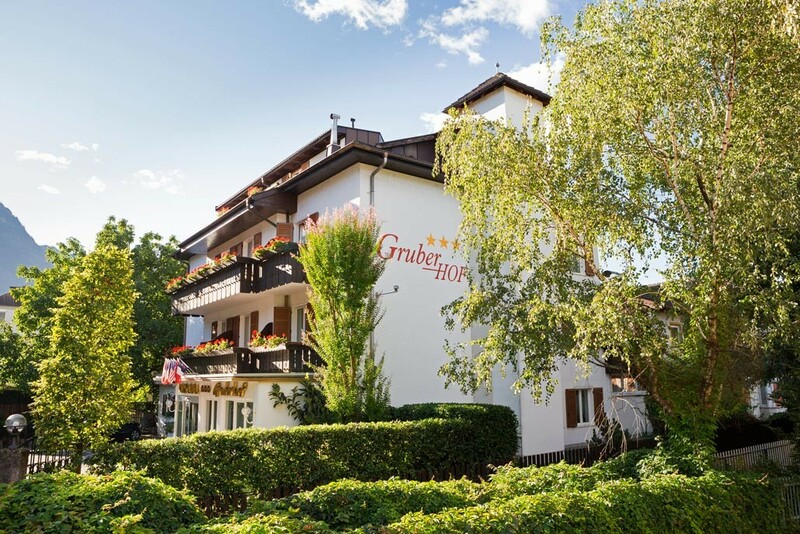 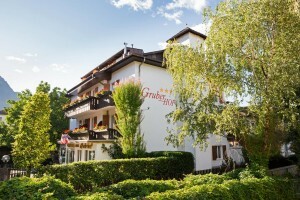 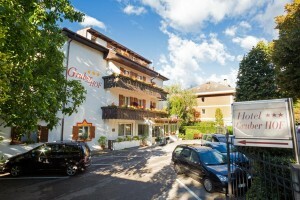 The main building of our 3-star Hotel Gruberhof in Merano contains the front desk, the hotel bar, the dining room, the rooms and the garden terrace where the breakfast, the cake buffet and the dinner are served. 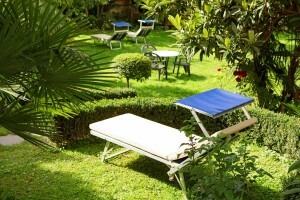 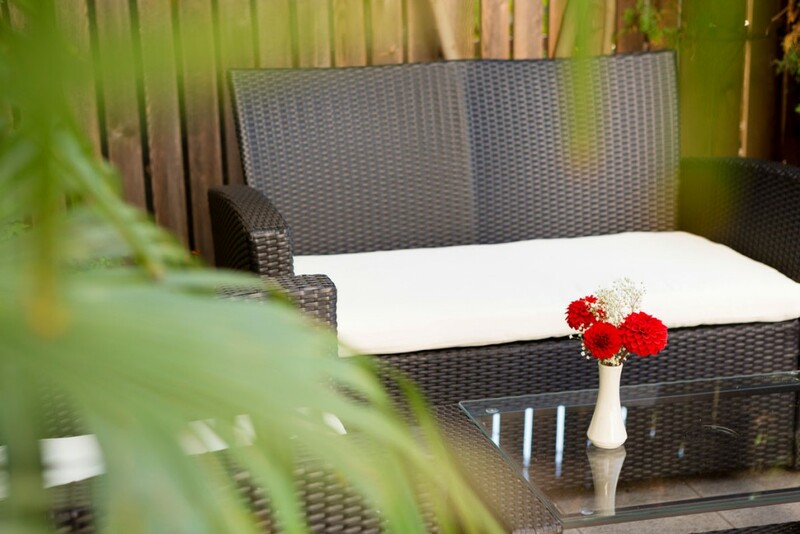 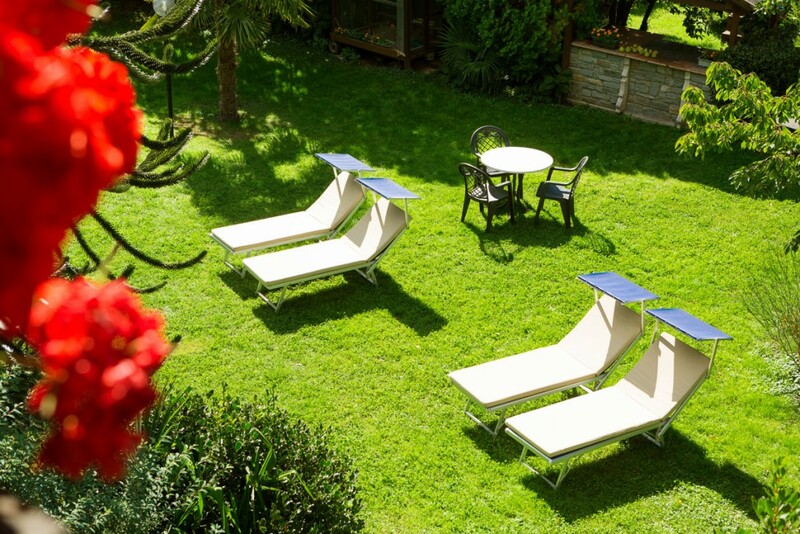 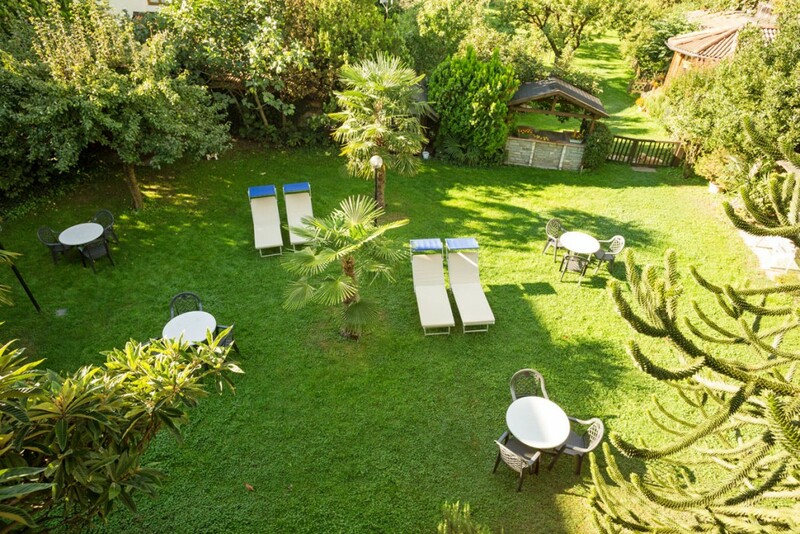 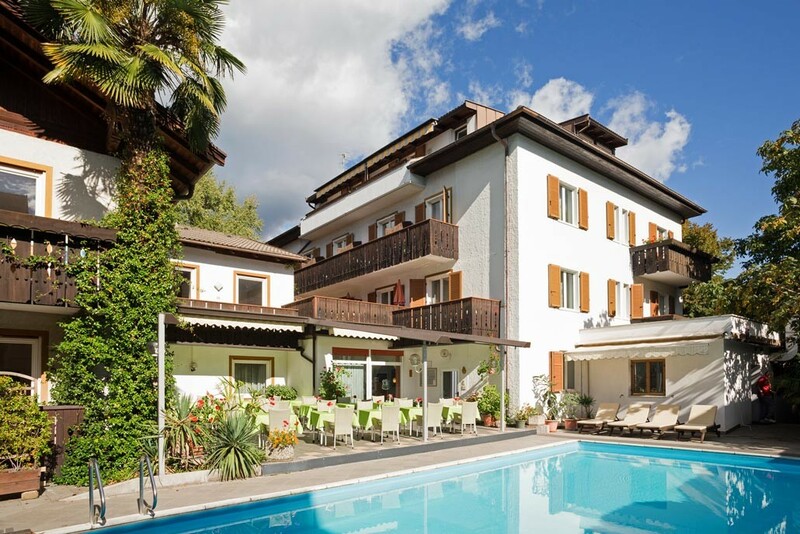 In front of the building you will find our wonderful Mediterranean garden with palms, cypresses and oleanders as well as an open-air swimming pool that will tempt you to enjoy the warm temperatures of Merano. 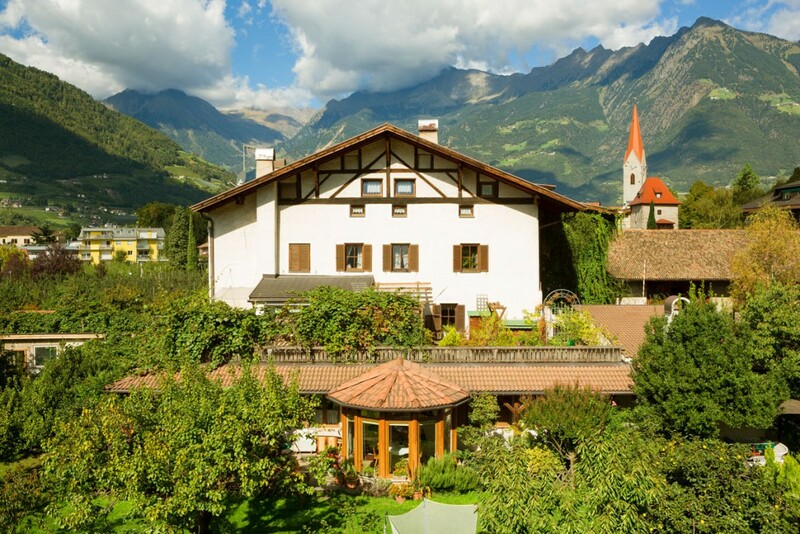 Close to the hotel garden, surrounded by apple trees, you can look at the private house of the Schweigl family, an original farmhouse of the 12th century. 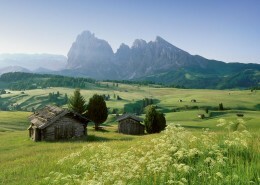 Around 300 days of sunshine per year will make your heart smile. 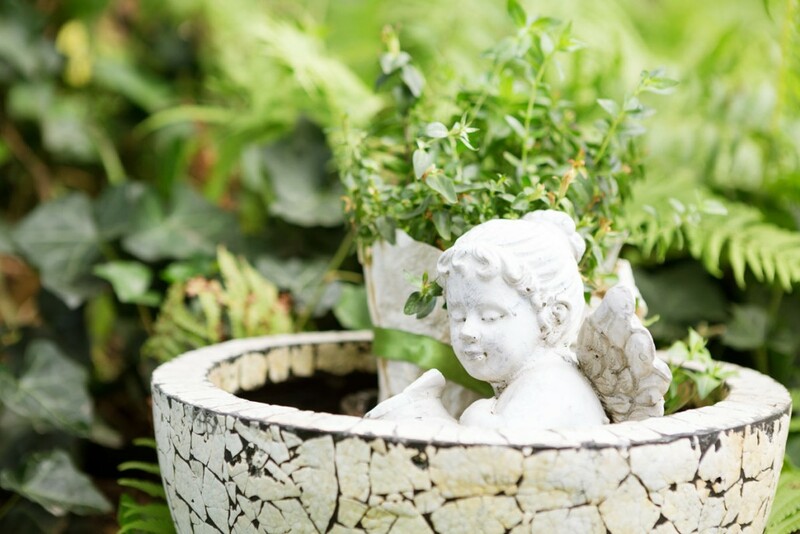 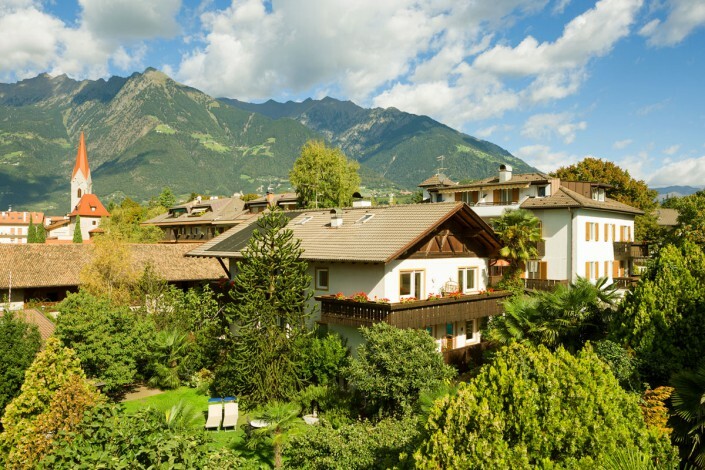 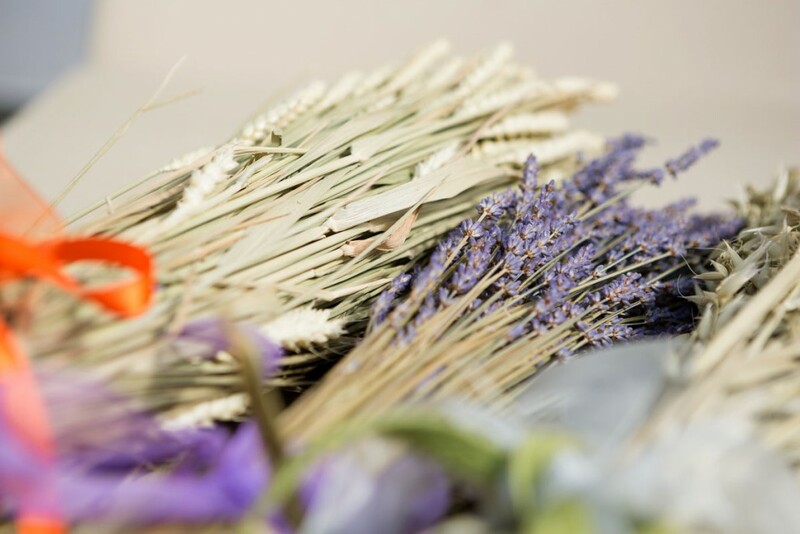 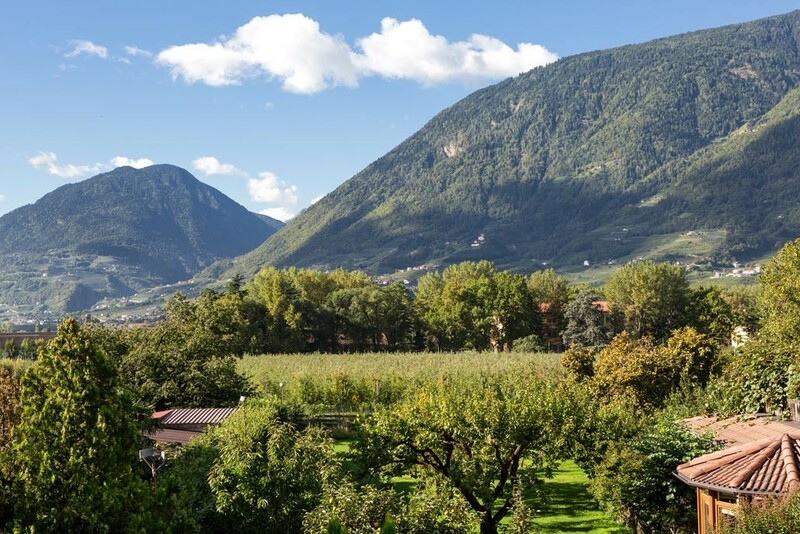 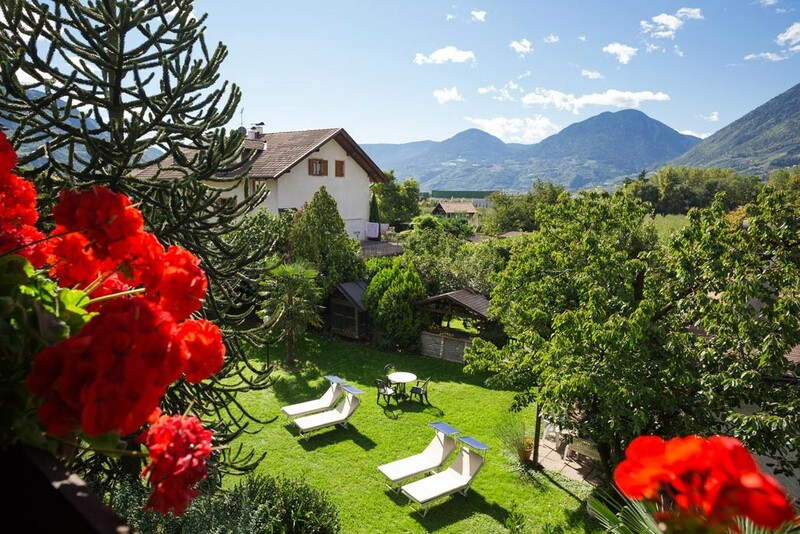 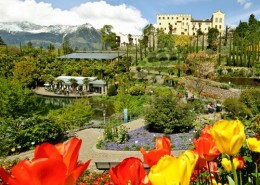 Merano and its valley is famous for its mild climate and its amazing alpine and Mediterranean vegetation – it’s the same vegetation you will also find in the beautiful garden that surrounds Hotel Gruberhof. 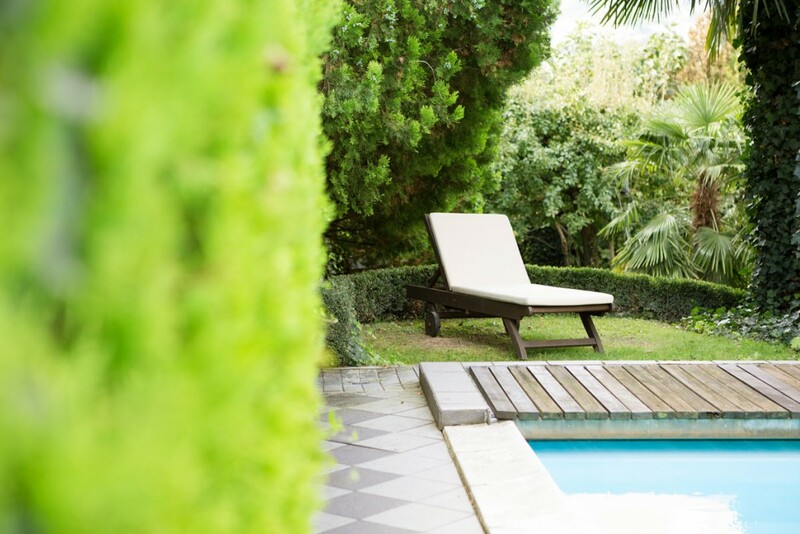 In addition, our swimming pool which is located amongst the trees and palms of our garden is an inviting escape from the everyday life. 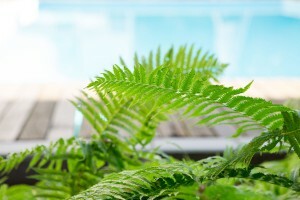 Our swimming pool offers a refreshing break during the hot summer days, while the large and well looked after garden is meant to offer our guests a perfect spot to relax and recover. 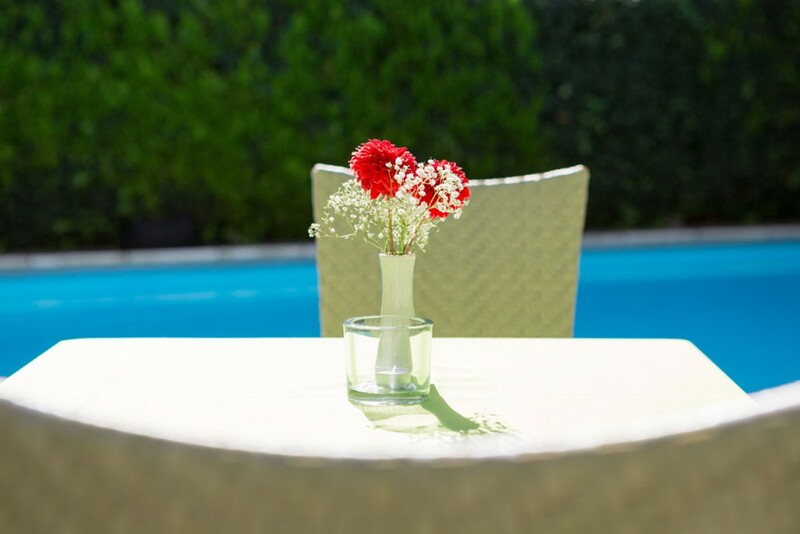 You will have the choice to spend some relaxing time in our lawn surrounded by our trees and palms or, if you prefer, to stay closer to the swimming pool on our patio. 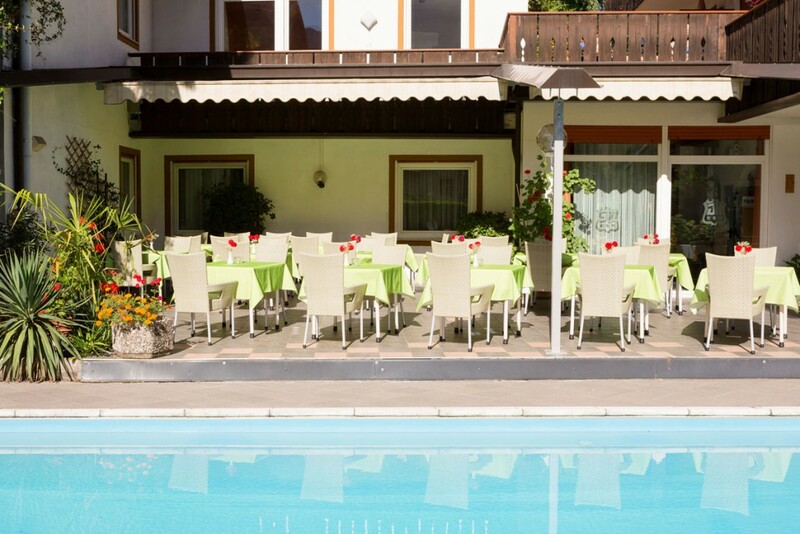 During the warmer seasons we offer to serve our breakfast and dinner directly on our patio with views over the swimming pool and the garden, so that you can start the day with full energy or relax over a good glass of wine or a refreshing drink in the fresh air. 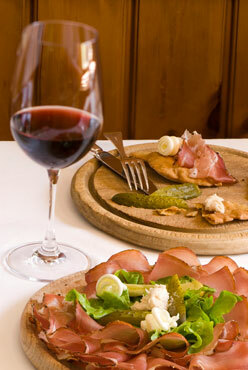 Indulge in our traditional, local cuisine ideally complemented with alpine and Mediterranean influences. 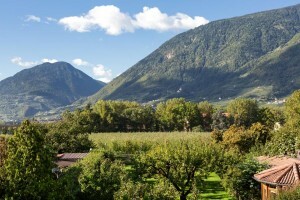 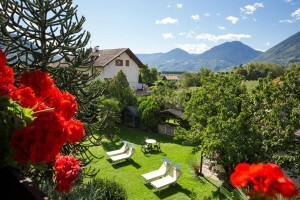 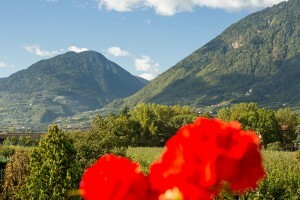 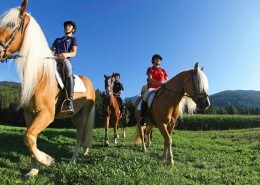 A holiday in South Tyrol without the pleasure of our fantastic food would not be the same! 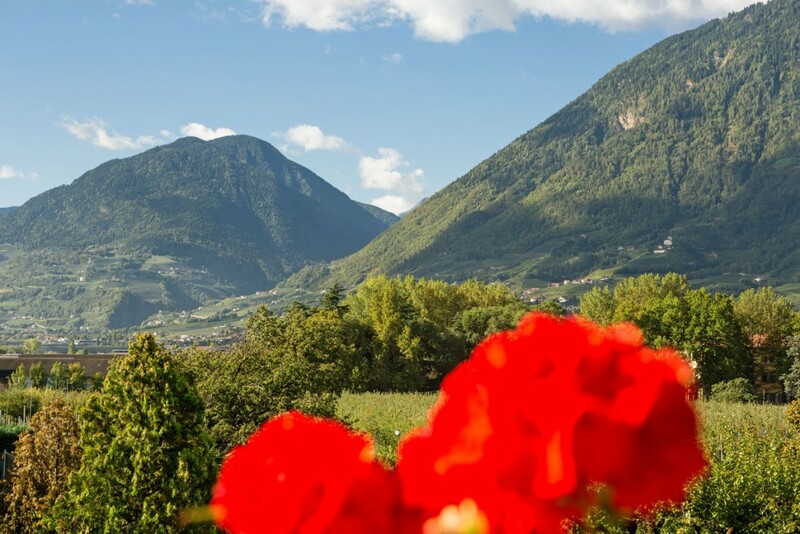 Merano (and South Tyrol) is known for its variety of food, a perfect combination of Tyrolean tradition and Italian flavors – where else can you eat typical Speckknödel and tasty Antipasti and pasta in all of its varieties? 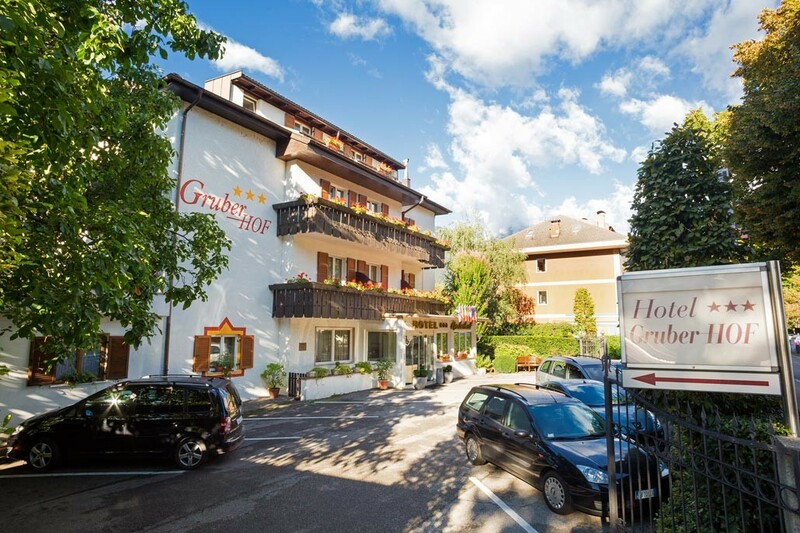 Our team in the kitchen can offer the right dish for all tastes and desires and will spoil you with homemade cakes and Strudel. In addition to that, amongst the vast breakfast buffer you will also find the homemade jams prepared personally by Ms. Margit. 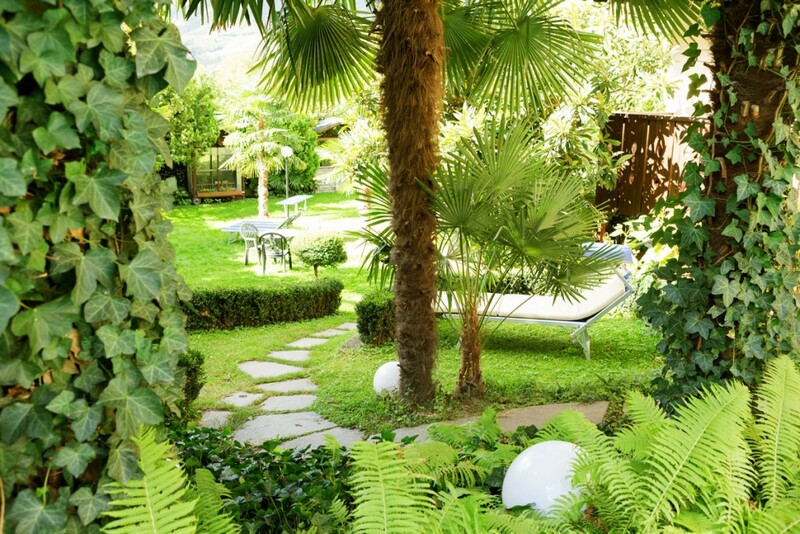 Finally, fruits and vegetables directly sourced from our own biological garden are often used to prepare many of our dishes.